CSA’s are required to report all Clery reportable incidents even if the victim wishes to remain anonymous. 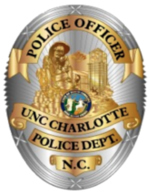 CSA’s should encourage victims to report the incident to UNC Charlotte Police and Public Safety (PPS). However, victims are not required to report the incident to PPS. In an effort to encourage victims to report crimes, the CSAs will have access to a Blind Reporting form. This form allows the victim to remain anonymous while allowing PPS to accurately track Clery crimes occurring within Clery reportable locations.